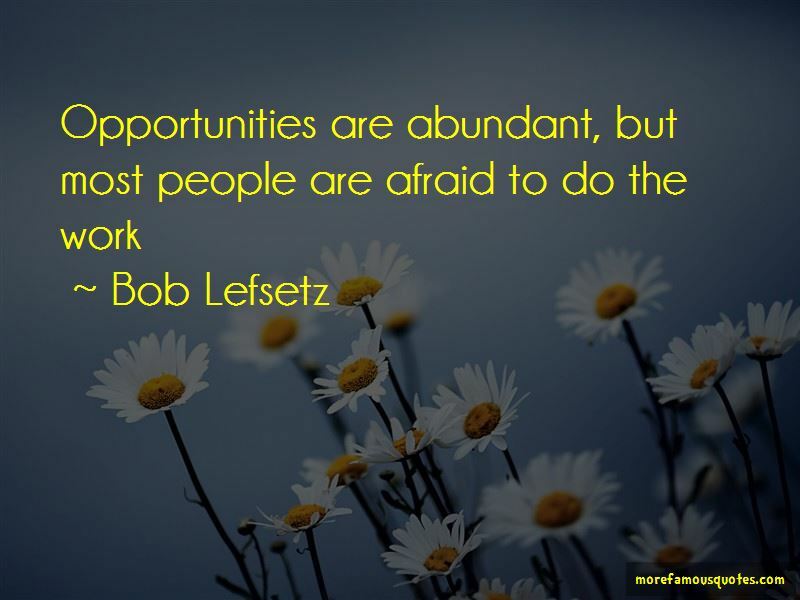 Enjoy the top 14 famous quotes, sayings and quotations by Bob Lefsetz. When done right, music should breathe, be alive. 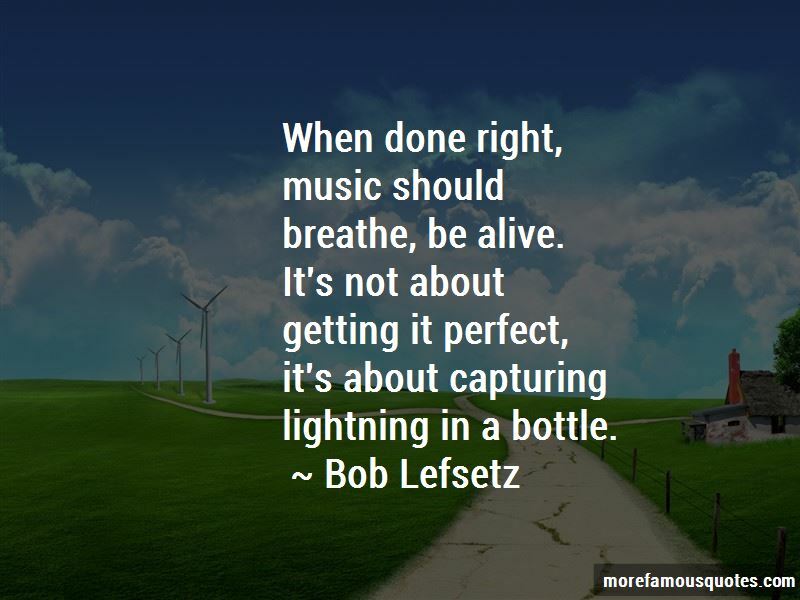 It's not about getting it perfect, it's about capturing lightning in a bottle. You can't fight hearts and minds with money. You think everybody's paying attention to what you're doing. No, they're paying attention to what's interesting to them. If you spend 10,000 hours on the bunny slope, you're never going to win the World Cup. You've got to challenge yourself, ski the double blacks, go out when it's blowin' and snowin' as well as when it's sunny and smooth. 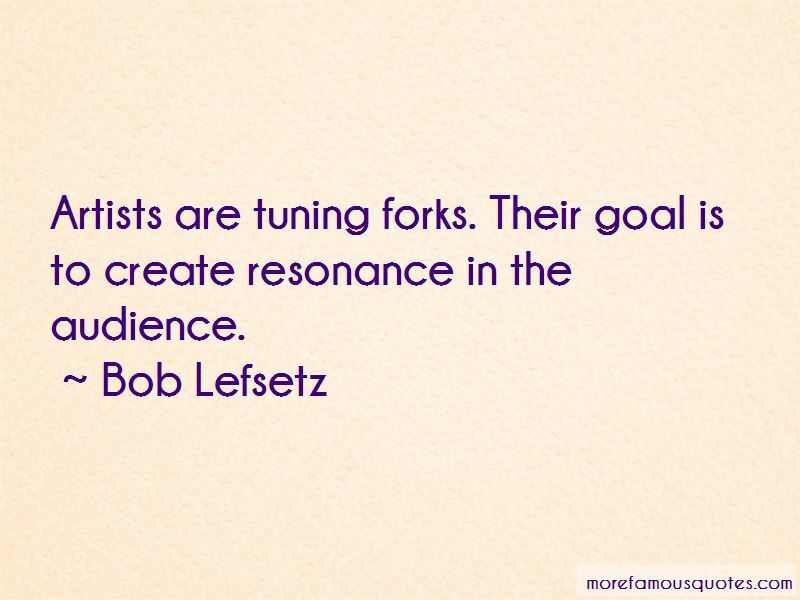 Want to see more pictures of Bob Lefsetz quotes? 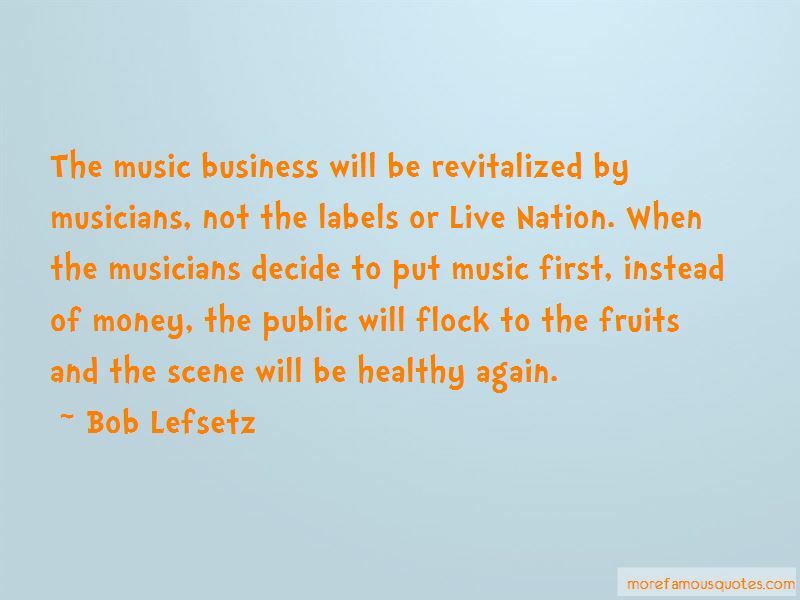 Click on image of Bob Lefsetz quotes to view full size.